Many clients ask me why I write two ads for a single online campaign they are running, whether it’s Google AdWords, LinkedIn Ads, or even email marketing? For those unfamiliar with split testing—or A/B testing—it’s basically taking the same marketing concept for an ad and changing one thing to help determine its overall effectiveness. One isn’t the loneliest number: In an A/B split test, you want to test a single element, otherwise known as the control element. See the sample below.Which is your eye drawn to more? 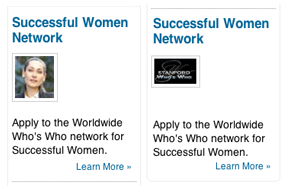 Which would you more likely to click on? Leap down the rabbit hole: Measure as far down the marketing funnel as possible to gain the most insight into the ad’s effectiveness. Track click-thru rates, leads, traffic-to-lead conversion rates, and requests. 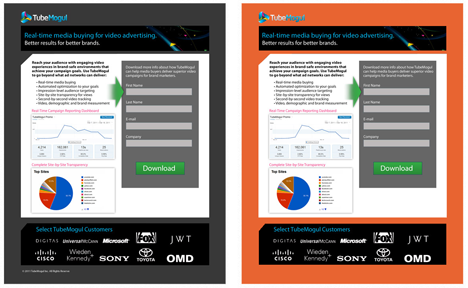 Do a side-by-side analysis to determine each ad’s effectiveness. Identify the leader—sometimes it’s not the one you thought it would be. Tea for Two: In the A/B test, you are testing a singular control, but with two ads. 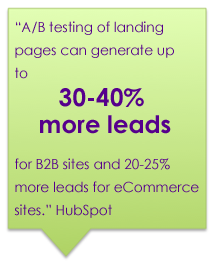 To track lead generation, each ad has it’s own landing page to determine overall effectiveness. Unbounce offers good a list of landing page samples. Below is a sample demonstrating the control element—color. Which are you drawn to? TIP: Test how the page renders for those with color vision deficiency. Wikline.org offers a filter test to help determine color contrast. You’ve been randomly chosen:For me, this is the most important part of A/B testing—the sample group. In this step you are identifying the two test groups. The two groups must be as similar as possible in order for the results to be conclusive. For example, the target market is 35-55 year old males, in the same profession, with more than 12 years of experience, and who live on the east coast of the United States. The split test would be on the men from Maine to Virginia and from North Carolina to Florida. 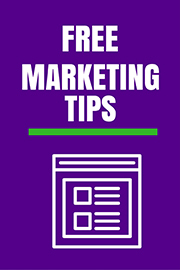 Tip: If you want to compare more than two lists, keep all the elements of the ads the same so you can determine results based on the lists alone. Share your successful A/B split-testing story. What worked and why? If you need help with split testing your ad campaign, whether in email, on Google AdWords, or in social media, reach out to us. Tell us more about the type of campaign you are/would like to run, e.g., LinkedIn, Google AdWords, email, etc.? Pingback: Is Your Marketing Campaign and Website Ready for Tax Season?